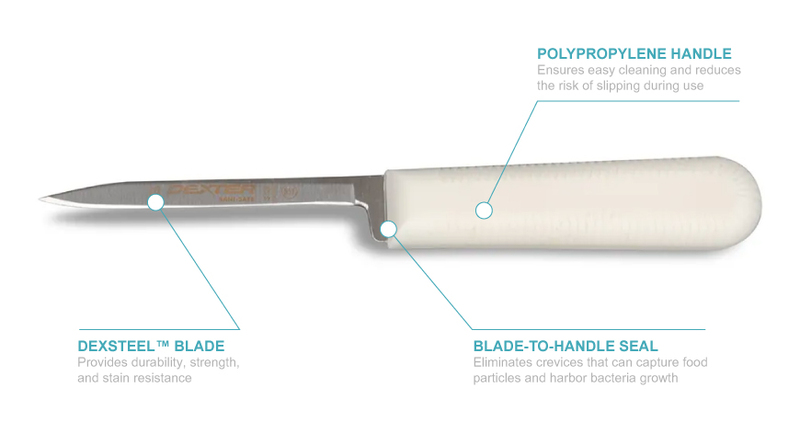 The Dexter S128 Sani-Safe® poultry sticker has a seal between its 4-inch handle and 3-inch blade that eliminates a crevice that can capture debris and harbor bacteria. 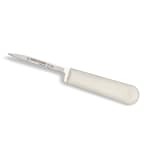 Made of polypropylene, the handle is durable and easy to clean. The textured surface on the handle reduces the risk of it slipping in your hand. The edge on the Dexter S128 Sani-Safe poultry sticker is precision ground and honed to the ideal sharpness. The blade is made of DEXSTEEL™ to be strong and resistant to stains.